Poisoning a community water source is a straight criminal action where leaders beginning with the LC1 must be made aware of, the clan leader of Arak Ongoda in Lango Patrick Abal has said. He said after they (LCs) have been made aware, any further poisoning should be regarded as being done with their support hence, they be the first to be apprehended and with this done, he added, the vice will stop immediately. Abal is among the Radio Wa social media followers who made comments on a report of a complaint raised by the communities of Ogor and Olilim Sub counties in Otuke district over the use of chemicals on River Agago by a small fishing community who migrated from Teso. In a meeting held last week, the Lango communities of Got Ojwang, Anyalima, Owinyiruu, Akuta, Olam, Odokomido and Ajalitoo accused the Teso community that acquired land at Got Ojwang of poisoning their water source with chemicals which they use for harvesting fish. The residents said due to the poison in the water, they no longer have clean and save drinking water at home and for their animals. Another commentator Loki Jimmy said “natural resources like water are managed by the government on behalf of her people, and the utilization of such resource by the community should not pose danger to the environment and in this case, the use of the chemical that causes risks to the life of humans and livestock for fishing by the alleged Teso community is really absurd”. He said River Agago is part of the watershed for R. Nile and once these vices continue, countries like South Sudan, Sudan and Egypt in the downstream of R. Nile will be having a problem with Uganda. 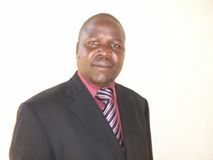 He proposed that; The quality of water in the river should be tested immediately and the government through the Ministry of Water and Environment should construct Dams for the affected community, Fishing using chemicals on River Agago should be stopped immediately in the upstream and a deliberate policy must be put in place to protect the River Agago watershed.